Very limited half day space at Cox, Oka, Plavan and Tamura CDC's. ​Limited 3 day space at at all locations. Open House will be March 13, 2019, no other tours will be given. The classrooms will be open April 11, 2019 from 6pm-7pm, for the district-wide open house. Please note we may be full by that time, fill out the form below to find out what we have available. Fill out the form completely to guarantee that you receive information regarding CDC Preschools for 2019/2020. In our CDC Preschools all snacks are provided, full day students must bring a healthy lunch and a labeled reusable water bottle. Registration & Materials fee $100.00, due annually. What is the Learning Link? 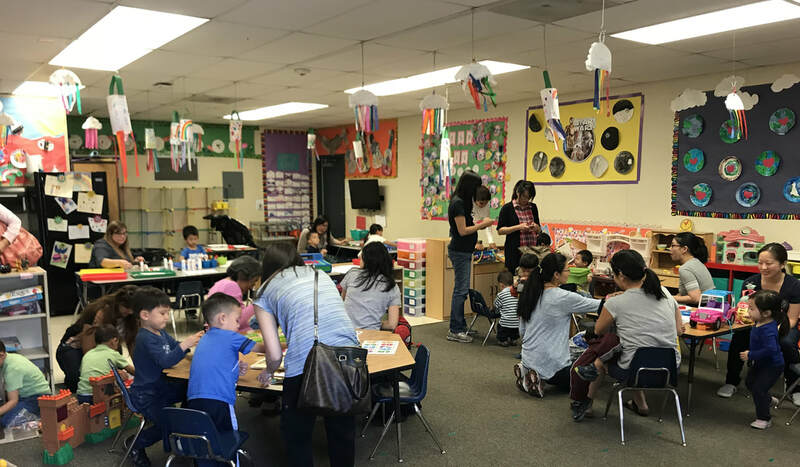 The Learning Link provides an accessible and creative learning environment to help young children be more academically prepared for kindergarten and to help parents become their child’s first teacher. The Learning Link offers various hands-on learning centers for children and their parents, as well as educational toys to stimulate young minds and encourage parent-child interaction. Please sign in with the teacher for this FREE program. You only need to register once and you can attend any time! This is a parent-child interactive program, parents must attend with their children.